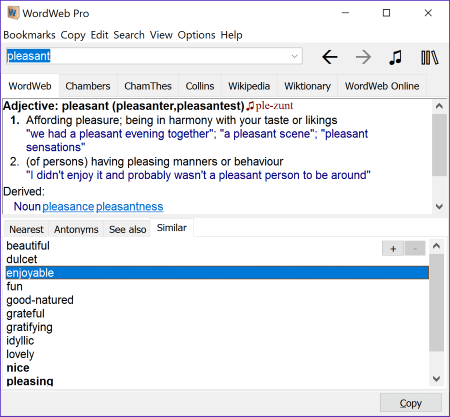 WordWeb: English dictionary, thesaurus, and word finder software. WordWeb is free subject to licensing terms. Plus all the features of the free version. Supports Windows 10, latest words and improved one-click, see What's New.